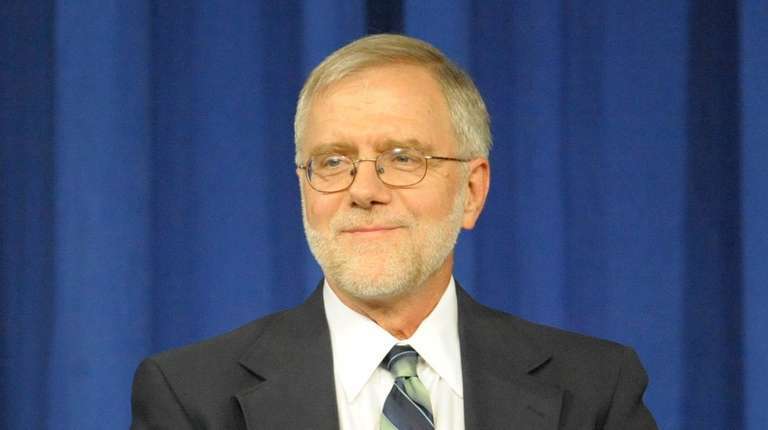 Howie Hawkins and Jia Lee said the state could pay for it through higher income taxes on wealthier New Yorkers. ALBANY – The Green Party candidates for governor and lieutenant governor on Wednesday called for an overhaul of public education spending and control in a race in which the performance and cost of schools is a major issue. Green candidate for governor Howie Hawkins and his running mate, New York City schoolteacher Jia Lee, said they would have the state pay $4 billion more in aid so schools could hire more and better teachers and reduce class sizes. The candidates also said they would restore more control of schools to parents, educators and local school boards, with fewer mandates from the legislature, governor and state Board of Regents. “Schools are strapped for cash,” said Lee, a special education teacher in New York City schools and mother of a child attending high school in the city. Hawkins and Lee said the state could pay for what would be a massive 15 percent increase in state school aid through higher income taxes for wealthier New Yorkers and additional taxes on Wall Street transactions. Critics have warned that further increasing the state’s millionaire tax and further taxing Wall Street could drive employers and the financial sector out of state. By comparison, the state budget in April increased school aid by $1.1 billion, or 4.4 percent, to $25.8 billion. Lee said a “manufactured crisis” in education was used as an excuse to dismantle local school boards, cap property taxes at 2 percent and establish mayoral control in New York City while centralizing funding and policy decisions statewide in Albany. Hawkins and Lee said they would end the 2 percent cap on property tax growth. “Ask any public school teacher or parent and they will testify that people in schools have had very little to no say in education policy in their districts,” Lee said. Hawkins and Lee criticized Democratic Gov. Andrew M. Cuomo’s eight years in office. During that time, Cuomo has continued record increases in education funding and is now requiring schools to divulge how they spend state aid ias a way to make sure schools with predominately minority students in poorer neighborhoods aren’t disadvantaged. Cuomo had required greater accountability measures for teachers to improve instruction, but now is agreeing that the role of standardized test scores be reduced. Parents and the teachers union rebelled against the increased use of standardized tests used to evaluate student progress, teachers and schools. Challenging Cuomo for the Democratic nomination is activist and actress Cynthia Nixon. Nixon has made increasing school aid a top priority and wants to end the disparity that she said has hurt schools in poor neighborhoods. She would also require more state funding for schools and less reliance on local property taxes. Republican nominee Marc Molinaro, the Dutchess County executive, has called for more funding for schools, more input by parents and local educators, and fewer standardized tests. “Spending more money isn’t going to solve the problem,” said Stephanie Miner, the former Syracuse mayor who is running for governor on the Serve America Movement. She would improve career, technical and workforce development. Ready for the next step?